I bought this rig as a replacement for my FT-450 AT; as it has a much better receiver and handles crowded bands (yes also FT8) much better. There’s more dynamic range in the receiver, and it’s less likely to overload. So why not the omnipresent IC-7300? Because this suits me better. The RX is a tad better. Granted, no touchscreen, but I find dedicated buttons better / faster. Scope is done via RX-out (dedicated RX out and IF out with the 3000!) to an SDRPlay RSP1 (See earlier posts..). This is also one of the main reasons I chose the 3000 over the 7300: you can truly build a complex station around it. It has dedicated jacks for it. Also there’s the possibility for 2 TX antennas and 1 RX antenna. Handy. All in all – it’s a pretty recent gift to myself 🙂 so this page will probably be updated sometime in the near future. I was gifted this TRX by Yves, ON4BNC, who had no use for it anymore (many many thanks!) and it needed some fixing. Mainly the device had an issue with the squelch, needed a good cleaning and alignment. This wasn’t the easiest device to work on, but it’s truly a thing of beauty. The analog VFO runs like a clock and is incredibly precise, even in an environment where the temperature does fluctuate. It’s using helical resonators and can output up to 10W. Not much, but it does get the job done with a decent antenna. The unit had the built-in power supply as well. Great audio by the way! Wish I could find the additional extra VFO for it. It’s a looker. Anyway, fixing this was a tedious task due to all the cabling and the horrible PCB material. The vias used at the time by Icom were of the type “rusty nail”. So I had to dig in deep, disassemble the unit entirely and replace those vias. I changed the grounding scheme as well, as in some places it was crazy, like: grounding for the FM stage had to go through the audio board first. I made sure to create a star-earth. Anyway, the problem with the squelch was purely this: bad grounding over the years. 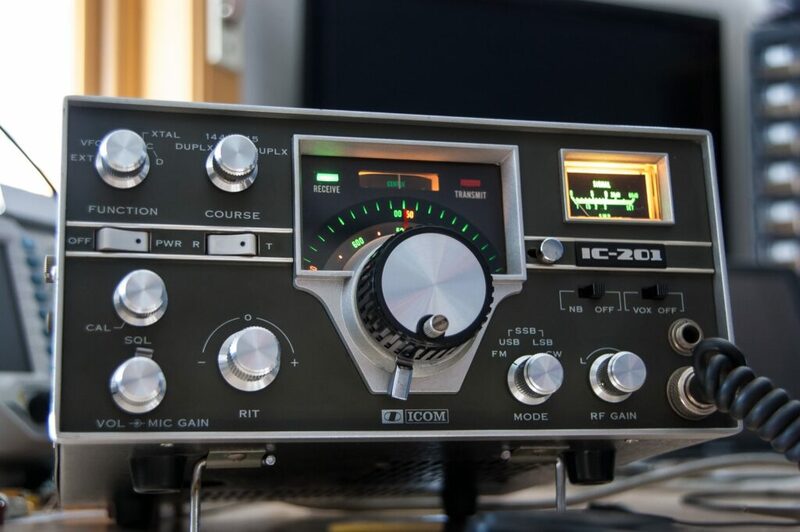 I now have a nice looking all-mode VHF unit; and I just love the analog VFO on it… Classy!